Adult female mosquitoes can pass the Zika virus along to their offspring, U.S. researchers said on Monday, a finding that makes clear the need for pesticide programs that kill both adult mosquitoes and their eggs. The findings, published in the American Journal of Tropical Medicine and Hygiene, show that as with many related viruses, including dengue and yellow fever, Zika can be transmitted from female mosquitoes to their offspring. Dr. Robert Tesh of the University of Texas Medical Branch in Galveston, Texas, a study coauthor, said the fact that the virus can be passed along to mosquito offspring makes Zika harder to control. Adult female mosquitoes can pass the Zika virus along to their offspring, U.S. researchers said on Monday, a finding that makes clear the need for pesticide programs that kill both adult mosquitoes and their eggs. “Spraying affects adults, but it does not usually kill the immature forms – the eggs and larvae. Spraying will reduce transmission, but it may not eliminate the virus,” he said. Although Zika generally causes mild disease in adults, it is a major threat to pregnant women because it has been shown to cause the severe birth defect known as microcephaly and other brain abnormalities. The ongoing Zika outbreak was first detected last year in Brazil, where it has been linked to more than 1,800 cases of microcephaly, and has since spread rapidly through the Americas. Aedes aegypti, the mosquitoes that carry Zika, lay eggs in small containers of water. Homeowners have been advised to dump out containers of water on their properties. When the water is dumped, the eggs cling in a ring around the water line, where they remain dormant until the next rain, when they can hatch. Scientists studying Zika wanted to find out whether some of the offspring from these tropical mosquitoes might carry the virus, helping to perpetuate an outbreak during dry seasons. To find out, researchers injected female Aedes aegypti mosquitoes raised in a laboratory with Zika. They were then fed, and within a week, they laid eggs. The team collected and cared for the eggs until they hatched into adult mosquitoes, and counted the ones that carried the Zika virus. They found the virus present in one out of every 290 mosquitoes tested. “The ratio may sound low,” Tesh said, “but when you consider the number of Aedes aegypti in a tropical urban community, it is likely high enough to allow some virus to persist, even when infected adult mosquitoes are killed.” . For homeowners in affected areas, Tesh advised people to dump standing water from containers on their property and scrub them thoroughly to remove eggs and larvae. They should also remove any objects from their yards that could collect water. 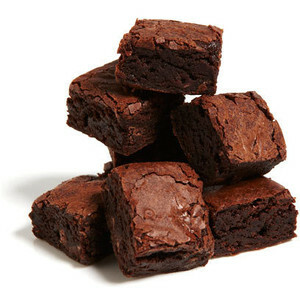 Use #NationalBrownieDay to post on social media. Each year on December 7, National Pearl Harbor Remembrance Day is observed across the nation. This day is a day to honor all those those who lost their lives serving this nation at Pearl Harbor. There were more than 3,500 Americans that lost their lives or were wounded on that solemn day. To celebrate National Microwave Oven Day, cook your favorite meal in the microwave tonight or heat up some of last night’s dinner in there. Use #MicrowaveOvenDay to post on social media.